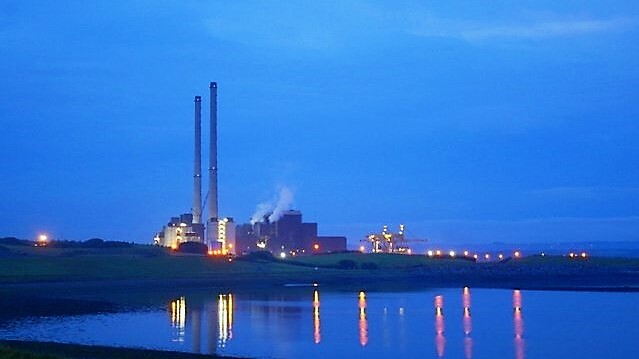 All three coal-fired units at ESB’s Moneypoint power station have been out of action for the past two months due to a forced outage at the Co Clare facility. Moneypoint is one of Ireland’s largest generating stations with a total generation capacity of 915MW, making up over one-fifth of electricity generation in 2016. 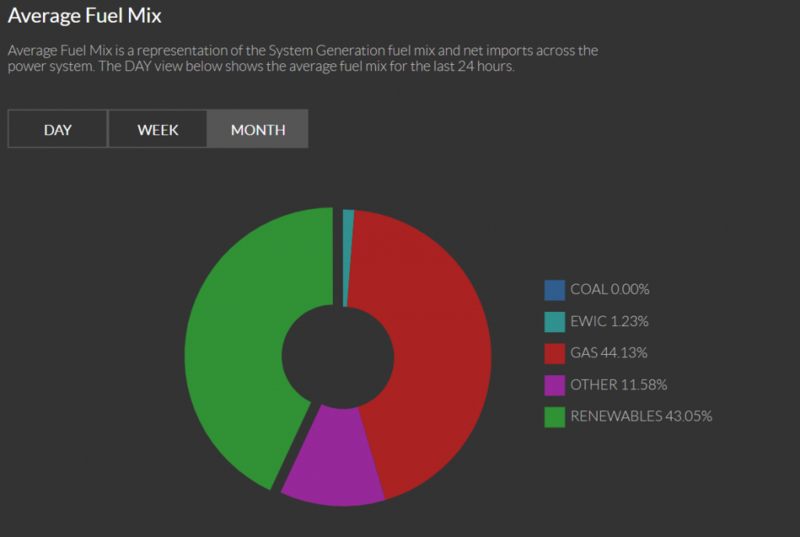 Over the past month, however, no electricity has been generated by coal according to the latest EirGrid data that shows that the grid is running almost exclusively from gas (44 per cent) and renewables (43 per cent). EirGrid cannot release fuel mix data to cover a longer period due to “operational sensitivities” but did confirm that Moneypoint is currently out of operation due to a forced outage. The ESB confirmed to The Green News that all three units at the station, each with a capacity of 305MW, have been offline since 27 September 2018 after engineering issues came to light. A problem with turbines emerged during planned works on two units earlier this year, the semi-state said, with the units taken offline on 13 April and 4 August respectively. As a precaution, the third unit was taken offline on 27 September and is scheduled to come back online in early February next year. The other two units should be operational in mid-December. 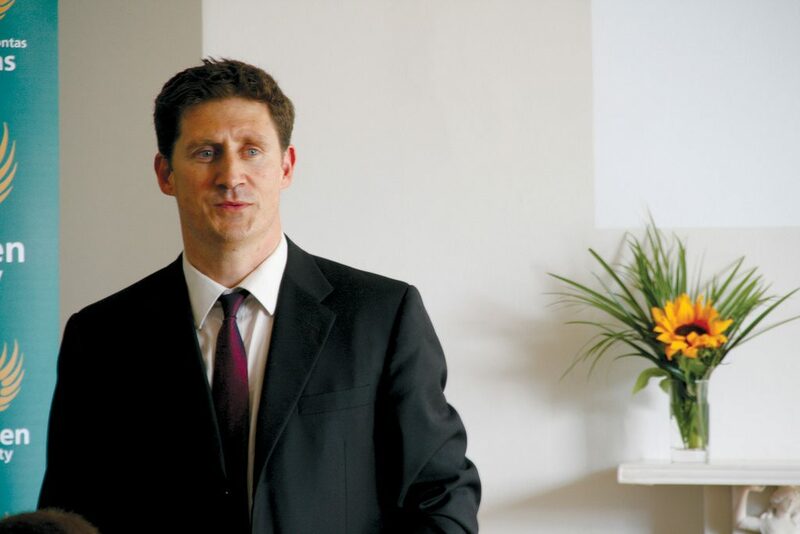 The news that power has been running over the last quarter without Moneypoint shows that we can afford to close the plant earlier than 2025 as currently scheduled, according to Green Party Leader Eamon Ryan. Speaking to The Green News, Mr Ryan said that shutting the plant now rather than seeing out the remaining seven years of its lifespan would stop the release of 30 million tonnes of carbon dioxide into the atmosphere. Our average emissions intensity from electricity generation has also been lower than usual this month, down to 350 grams of Co2 per kilowatt of power produced at times, Mr Ryan added. By cutting out coal and peat and ramping up renewables and developing offshore wind we could go below the 200 gram mark, Mr Ryan said, giving the country “an economic advantage as a green power location”. “By closing the plant early ESB will incur some immediate loses but our climate reputation can be somewhat restored,” Mr Ryan added. Liam Fleming, who heads up the Waterford Energy Bureau, concurred that the plant has surpassed its predicted life cycle with “adequate alternative electrical generation capacity available”. The current situation, he said, offers an “opportunity” to replace Moneypoint with more carbon efficient plants that can operate alongside renewables that are expected to provide half of our electrical supply this winter. “The closure of the most inefficient and most environmental damaging generation plants is a significant step along this process,” he told The Green News. 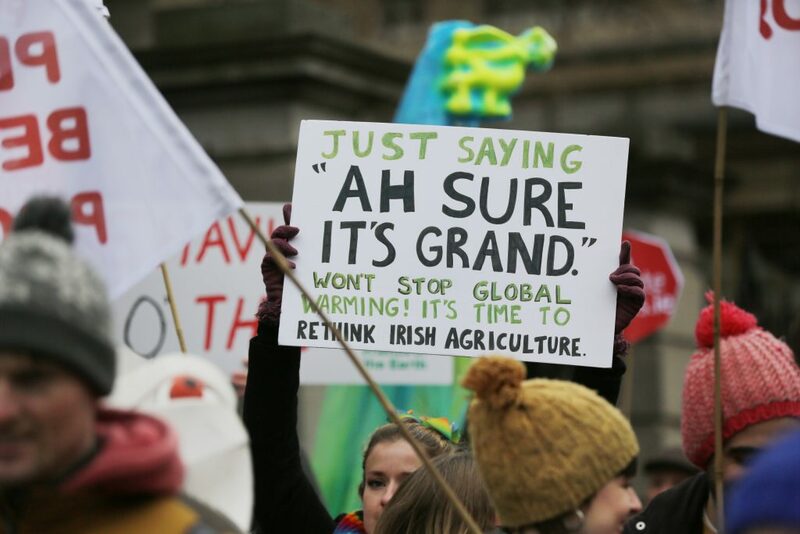 The news raises serious questions for the new Minister for Climate Action, Richard Bruton TD, according to Kate Ruddock, the deputy director of Friends of the Earth Ireland. “We’re always being told the electricity system wouldn’t function without Moneypoint, but it’s been closed for two months now and the lights are still on,” Ms Ruddock added. She said that Mr Bruton must contemplate closing the station now if he is serious about tackling climate change, as well as responding to “serious allegations of human rights abuses” associated with the Colombian mine from where Moneypoint sources most of its coal. Data released to The Green News under Access to Information on the Environmental (AIE) Regulations earlier this year revealed that the ESB has imported 12.5 million tons of coal since 2011. Almost 7.5 million tons of this came from the Cerrejon mine in the northeast of Colombia, one of the largest opencast mines in the world. Numerous Colombian and international human rights and environmental organisations have documented abuses linked to the mines including intimidation, assault and death threats against activists. The mine is responsible for “decades of human rights abuses against local communities”, according to Sian Cowman, coordinator of the Latin America Solidarity Centre based in Co Dublin. At least 35 indigenous and Afro-Colombian communities have been displaced from their ancestral lands due to the mine’s expansion, she said, “losing their means of survival as they are no longer able to farm”. The mine has also brought a “host of negative health impacts”, Ms Cowman said, while access to clean water has been severely impacted by the mine’s “disproportionate use of water”. “The ESB should take this opportunity to take Moneypoint offline and therefore desist their purchase of Cerrejón coal and Ireland’s complicity in these human rights abuses in Colombia,” she said. Cerrejon has previously told media that there is “no relationship at all between Cerrejon’s activities and the death of any activist and that Cerrejón implements leading international social and human rights standards”. The ESB joined the BetterCoal organisation that is funded by coal buyers, such as utility companies, four years ago to promote improvements in the mining and sourcing of coal. 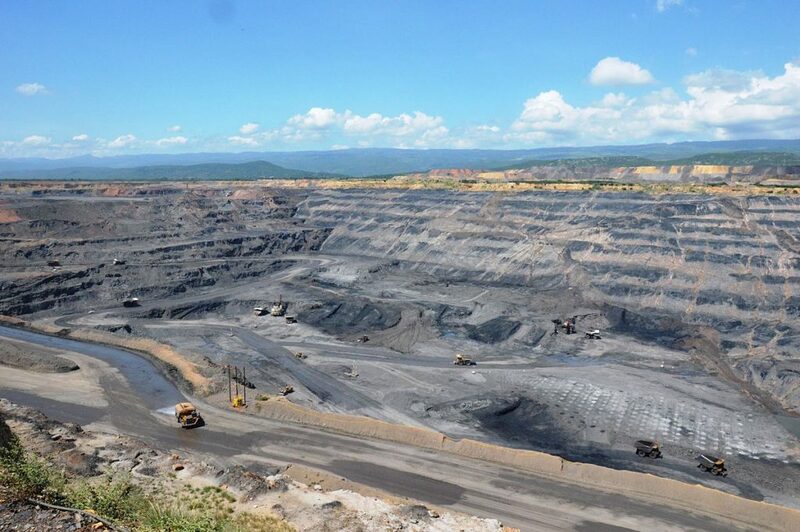 BetterCoal assesses individual coal mines and Cerrejon is currently in the process of being assessed, with the ESB awaiting the outcome of this study. In a statement, the Department for Climate Action (DCCAE) said that the ESB is committed to reducing the carbon intensity of electricity by two-thirds by 2030. This involves the planned transition out of coal and other carbon fuels toward lower-carbon options, the department said, including biomass, carbon capture technology, or replacing the power station with a new gas-fired station. “ESB will continue to explore the various options for the future of Moneypoint noting that large-scale generation projects take years to develop, consent and realise,” the department said. Speaking before the Climate Action Committee last month, the ESB’s Peter O’Shea said that it is a “complex question” as to when would be the best time for Moneypoint to go offline. Moneypoint would be “hugely valuable,” he said if there is a disruption in gas or wind as it has the capacity to hold three months of energy on the island. “[Moneypoint] is very important in terms of acting as a counterbalance for the amount of intermittent power on the system,” Mr O’Shea said. EirGrid has been running Tynagh Combined Cycle Power Plant (CCGT) to mitigate any operational security issue that can arise in the absence of power generation from Moneypoint. Wind energy has also largely made up for the gap, although EirGrid said that during periods of low wind production, it has had to run one of the 60MW units at the oil-fired Tarbert station in Co Kerry.